“The purpose underlying the material change requirement is the same, whether the requested change is in custody or in a visitation schedule.” McMahon v. Piazze, 162 Md. App. 588, 875 A.2d 807 (2005). 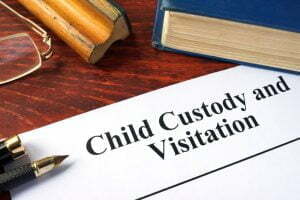 Assuming that the moving party has established that there has been a material change in circumstance, Maryland courts must then determine whether a modification of custody or visitation is in the child’s best interest. In their assessments of a child’s best interest, Maryland courts place substantial importance upon the stability of a caretaker’s household. (See McCready vs. McCready, 323 Md. 476, 593 A.2d 1128 (1991); and Domingues v. Johnson, 323 Md. 486, 593 A.2d 1133 (1991)). Other considerations include, but are not limited to, the fitness of the parents, the age and health of the child, and the parents’ ability to provide for the child’s needs. Moreover, a court may consider the child’s parental preference if he or she is determined to be at a sufficient age. Amira Khan, an Associate in Offit Kurman’s Family Law, concentrates her practice across the full spectrum of divorce and child custody issues. She is certified in Collaborative Law and can practice as a Best Interest Attorney where she represents children in highly contentious cases.